Sometimes, when the weather is gray and the day just hasn’t gone your way, we don’t want to think about cooking complex meals packed with the latest nutritional food-fad. Sometimes what we need is something simple, soothing, and satisfying. Something to fill our bellies and put a smile on our faces. Welcome to Easy Comfort Food. 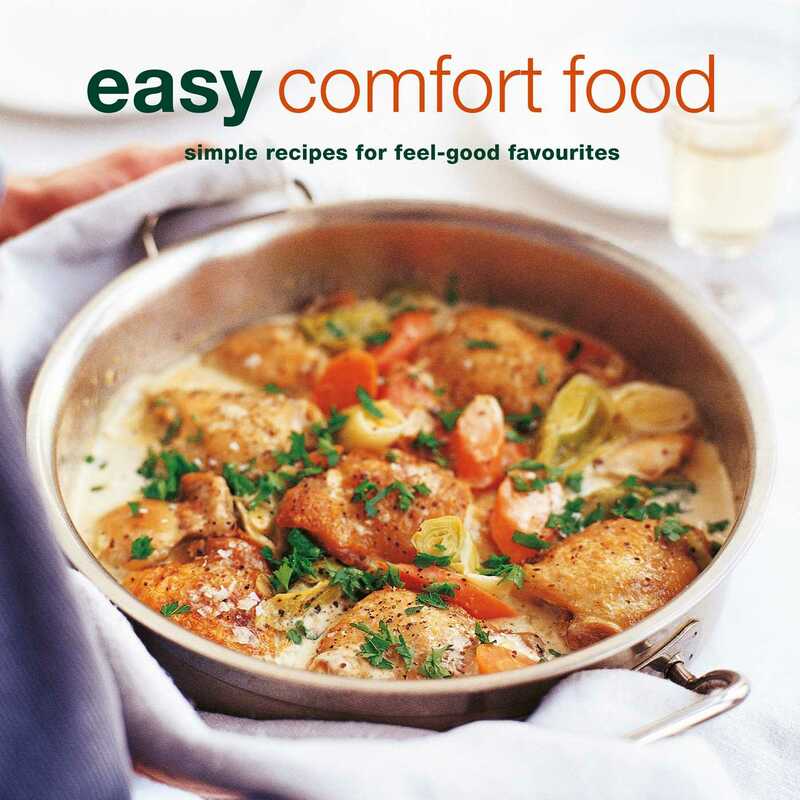 You’ll find over 100 recipes to lift your spirits, including Macaroni Cheese, Chicken Noodle Soup, Creamy Fish Pie, Extra-crunchy Peanut Butter Cookies, Rocky Road Cupcakes, Lemon Meringue Pie, Banana Splits with Hot Fudge Sauce, and so much more! There are meals, snacks, and baked goods to suit every occasion so you’ll never feel down about food again. These fuss-free recipes are easy to follow, easy to make, and even easier to eat!